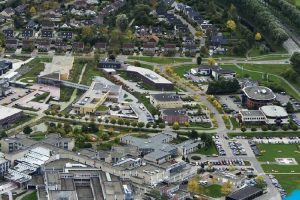 Facilities & Research infrastructure Demosites	Office facilities: Your company at WaterCampus Leeuwarden? WaterCampus Leeuwarden is easy accessible. 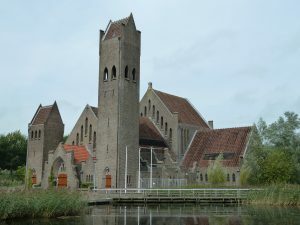 The campus is situated near the city centre, on one of the access roads of Leeuwarden. The train and bus stations are within walking distance. Parking space is readily available at WaterCampus. The Water Application Centre is a fully equipped application centre. A unique location where companies and institutes can independently perform their research. If desired, support in applied research can be provided by the Centre of Expertise for Water Technology (CEW, LINK), with the option of collaborating with students and teachers of middle vocational colleges and universities of applied science. The WAC is fed with a supply of various types of water for research purposes. The WAC’s facilities include a research hall where test installations can be placed or built within the framework of a comprehensive infrastructure. The WAC is further equipped with chemical, microbiological and molecular laboratories including all the necessary equipment and expertise. The WAC offers a complete analysis package in collaboration with other laboratories in the region. This allows for the testing and measurement of all the components involved in the research process. 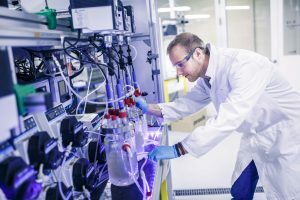 The state of the art Wetsus scientific laboratory is exclusively used for the Wetsus innovation program in which more than 20 universities and 100 companies cooperate. Do you need to scale up? 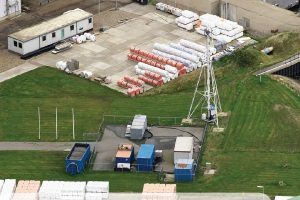 For pilot plant testing and demonstration projects on cubic metre scale, WaterCampus offers a unique set of demonstration-sites. These sites are located within a radius of 50 km around WaterCampus Leeuwarden. At the moment there are five demosites, each representing a certain type of water or application. At these sites all permits for testing are in place, preventing the usual delays related to that. Consequently, on-demand and plug-and-play tests can be performed, on a cubic metre scale and 24 hours a day. The Wetsalt demosite offers testing facilities for technologies for the sustainable desalination of sea water as well as technologies to generate energy from water. Situated at the Afsluitdijk (Enclosure Dam), the Wetsalt demosite has access to both sea water and fresh water. Additionally, the demosite has access to condensate, brine and canal water from the nearby canals. Characteristics of the available water streams can be found here. Salt water at WetSalt in Harlingen. Contact: Heleen Sombekke, heleen.sombekke@wetsus.nl. 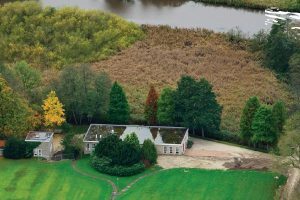 The Sentec demosite offers a great variety of water types and cutting-edge laboratory facilities to entrepreneurs who are developing sensors and data-measuring equipment. Sensors at SenTec in Glimmen. Contact: Hilde Prummel, h.prummel@wln.nl. Office facilities: Your company at WaterCampus Leeuwarden? The WaterCampus Business Centre ‘Johannes de Doper’, is a unique incubator, which has become the hotspot for water technology companies. This former Catholic church has been transformed into modern communal business premises. There are various office spaces available (from 30 m2 to 100 m2). The complex offers excellent conference facilities and many other services. There are also flex desks for rent (14 m2). A flex desk includes a desk, a comfortable office chair, a telephone and an internet connection. WaterCampus Leeuwarden was expanded in 2015 with a new building measuring 6700 m2. The facilities include offices, laboratories and conference rooms. The building and its offices and laboratory space received a BREEAM-NL Excellent score. This is a unique score when it comes to sustainable construction and use. As main tenant, Wetsus uses more than 90% of the building. Also the Centre of Expertise for Water Technology is based here. There is limited space left for other tenants. 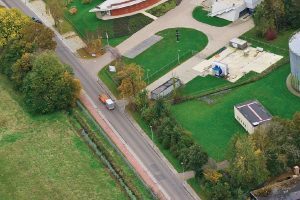 The site of WaterCampus Leeuwarden is large enough to accommodate further expansion in the future.